This pop-up restaurant (that eventually stayed) is fun! They are located in a building on the Grand Union Canal. 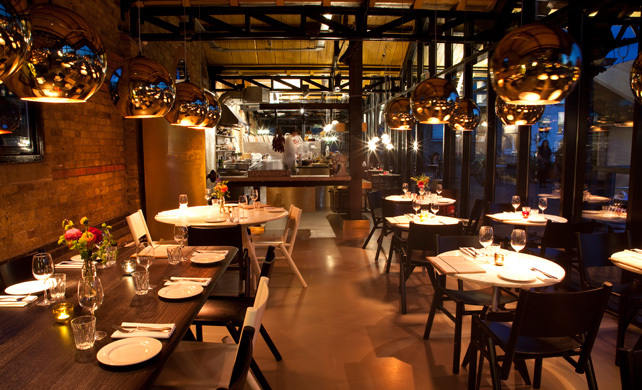 The interior is very funky with exposed brickwork and modern furniture. Portobello Dock 342/344 Ladbroke Grove, Tube; Kensal Green, £££ +442089621610. sounds like a nice place to go and eat something! And i like the idea they change every month their menu!